Re-introduced for 2011 Diesel. Diesel was the first diesel engine to arrive on the Island of Sodor. 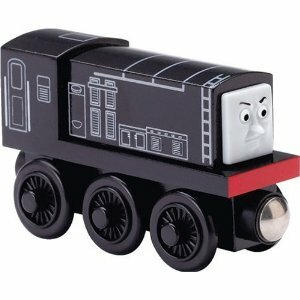 He is painted black and has six wheels. He first came to Sodor for a trial run, helping Duck. Diesel does not like Steam engines and tries to wind them up but often is sent away for causing accidents.